Where we take a break, talk about the Maya and their rituals, watch the swallows fly in and out. It is a magical spot, as I'm sure the Maya must have thought also. Where the sunlight streams in, the ground is littered with thousands of pieces of broken pottery. The cave site of Actun Chapat (Centipede Cave) is located approximately 19 miles south of the modern town of San Ignacio, in the foothills of the Maya Mountains (see map). Preliminary reconnaissance of the site was conducted by members of the Belize Department of Archaeology in 1982. They identified such architectural features as walls, terraced and raised platforms, as well as human remains, and disturbed ceramic artifacts dating between 300 B.C. and A.D. 1000. Additional investigations of Actun Chapat were conducted by the Western Belize Regional Cave Project during the 1999 field season, focusing primarily on the ongoing mapping and reconnaissance of the cave and excavations in the area immediate to Entrance II. The majority of artifacts found in the cave consisted of ceramic sherds, however, a number of lithic and faunal items have also been recovered. Actun Chapat has a walled burial chamber that has been looted, plus several fragments of human remains. Artifacts found here also include wooden items such as a fragment of a torch and a carved backing for a pyrite mirror. The largest and most abundant form of construction in the cave are terraced platforms, of which there are over 30. Other artificial constructions identified in Actun Chapat include platforms, staircases, and a bench. 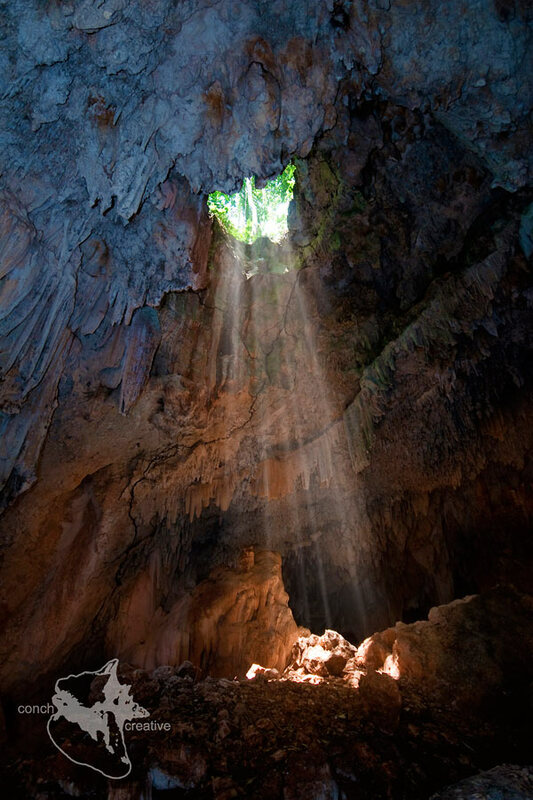 Over 200 caves have been identified in Belize, however, fewer than ten have been intensively examined by archaeologists. Actun Chapat potentially holds the largest corpus of artificial constructions in western Belize, perhaps the country. The site of Actun Chapat thus presents a formidable opportunity to conduct a case study in the examination of architecture within Maya caves. The main objective of the Actun Chapat research is to examine the architectural constructions within the cave to see what they can tell us about its use by the Precolumbian Maya. 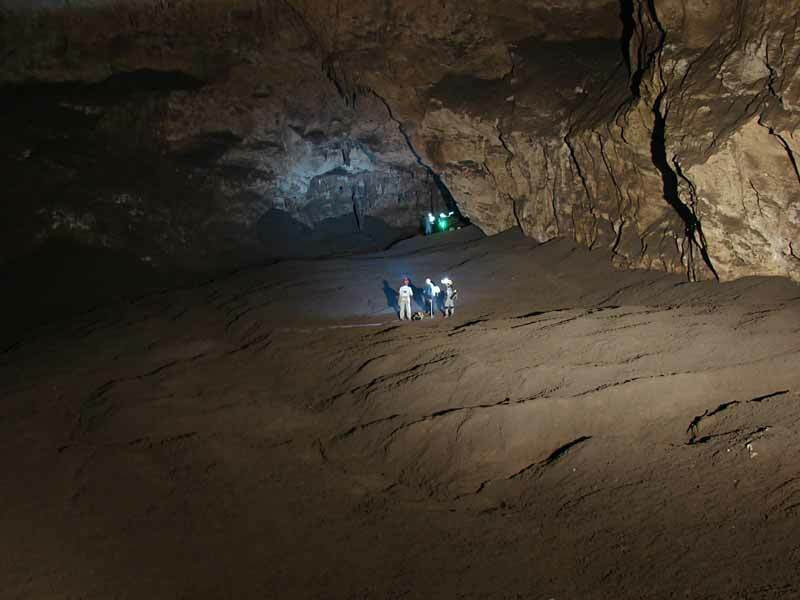 Our investigation will not be limited to architecture, but will include the examination of patterns of constructions within specific cave locus and with associated artifacts. We are focusing our excavations within Actun Chapat this summer on the area adjacent to Entrance I. We will then compare our data to that recovered from other caves throughout Belize. We hope that this will lead to a broader understanding of the social, ritual, and temporal purpose and significance of architecture within caves to the Precolumbian Maya. The investigation of Actun Chapat is of great significance to archaeology and to Belizean peoples, as increases in looting and the popularity of cave tourism are threatening the survival of the archaeological data, and thus an understanding of this aspect of Belizean heritage. The excavations at Actun Chapat in 2000 were supervised by Josalyn Ferguson. Josalyn received both her B.A. and M.A. from Trent University in Peterborough, Canada, and is now pursuing her Ph.D. at the State University of New York at Albany. She will be focusing her dissertation research on the Maya Terminal Classic period. Actun Halal, (Dart Cave) is considered a shelter, as daylight reaches into the one room cavern from the two entrances at each end. Archeologists have studied and documented this cave for years, mapping, excavating, illustrating and photographing the various formations. While much is known about the uses of caves, this shelter cave has raised many questions. What is known is that the Mayan people used this sacred place extensively, and modified the formations, perhaps into faces, perhaps to signify gods and levels of the underworld. Actun Halal has also shown evidence that Late Archaic people, (pre Maya-4400B.C.E.) used this cave, perhaps even living here. Swallows circle overhead, and seeds litter the floor left by small mammals. Each visit is made in anticipation of discovering something new. Actun Chapat (Centipede Cave) remains a cave without a known ending. Two known entrances, and several thousand feet of passage is riddled with pottery shards, modified cave formations, terraces, and human bones. A lake with blind catfish, crabs, with bat’s flying overhead…a possum seen walking on a ledge 100 feet from the floor…An extremely diverse and dynamic cave that flooded in October of 2008 and perhaps not for 100 years before that. Chapat is a dynamic cave, still evolving and with the changes more evidence of the Mayas is brought to the surface, and other evidence disappears. Two wooded artifacts were discovered, a fragment of a torch and the back of a pyrite mirror, infant burials, two polychrome vessels brought from Central Mexico for ritual; a recent discovery which may turn out to be a mass burial…more remains to be discovered. This cave is located next to Halal, and is a cave that was used extensively by the Maya. In the entrance there are hundreds of small pottery shards which have been deposited from the floods that still come through this cave on a yearly basis. This cave is believed to connect with Chapat although the passage is still unexplored and unknown. This cave has not been fully explored by archeologists so there is still a great deal of speculation about the use of this cave. These caves are rarely visited and presently not well known. Located on Private Property, approximately 6 miles from Succotz Village, the landowner is preserving the land along with the feeling he first had when he first visited the caves, and share it with a few select guests. The guides have been trained and have worked with the archeologists, so are extremely knowledgable about the cave and the history of the cave. The owner of the land and owner of the tour company being one and the same is 100% committed to the land, the sites, along with providing the best experience available. Every tour is a custom tour, and whatever your interests are, be it flora, fauna, archeology, or cave geology, our guides will be sure to provide you with as much information and adventure as you desire.